Deffaa is directing the production; Richard Danley is music-directing and playing piano, with Jonathan Russell on violin; Justin Boccitto is choreographing; Cristina Marie is Assistant Choreographer; and Eric Johnson is Assistant to the Director. The show is being produced by Edmund Gaynes, in association with Chip Deffaa Productions LLC. 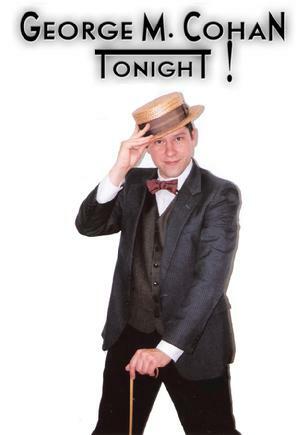 GEORGE M. COHAN TONIGHT! played London this season. Producer Edmund Sutton secured the rights to present a British production, which ran this Fall at the New Players Theatre on the West End. David Herzog starred. 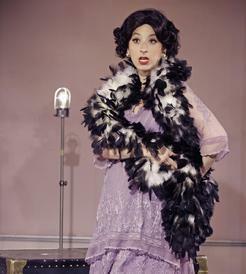 "The legendary Fanny Brice springs back to life in this biomusical which features nearly two dozen songs, excellently selected by the show's creator/director Chip Deffaa. The show's star, Kimberly Faye Greenberg, delivers a host of familiar tunes, including 'My Man,' 'After You've Gone,' and 'Second-Hand Rose,' along with some choice rarities, with comic zest and fine-tuned gusto." 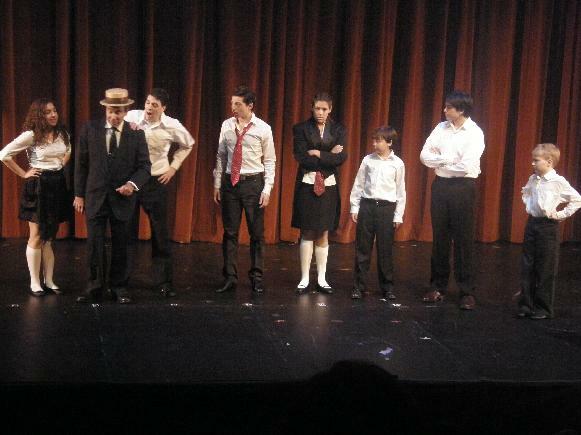 Justin Boccitto recently starred in GEORGE M. COHAN TONIGHT! at the YM-YWHA of North Jersey, in Wayne, New Jersey. 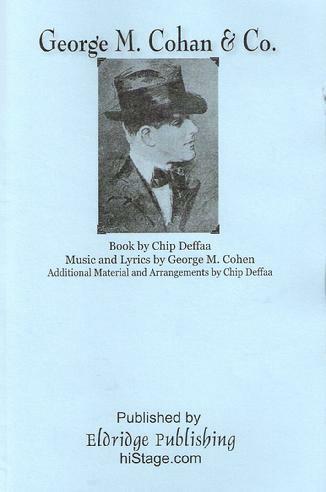 After choreographing assorted Cohan shows (and more) for Chip Deffaa, this was Boccitto's first time playing the role; his performance was so well-received, we're working on lining up other appearances by him (to be announced shortly) in the role. GEORGE M. COHAN & CO. has just been published by Eldridge Plays (which has been publishing and licensing plays since Cohan first made his mark on Broadway!). This is the fourth of Chip Deffaa's five plays about Cohan to be published, and the fifth is under contract to be published shortly, too. 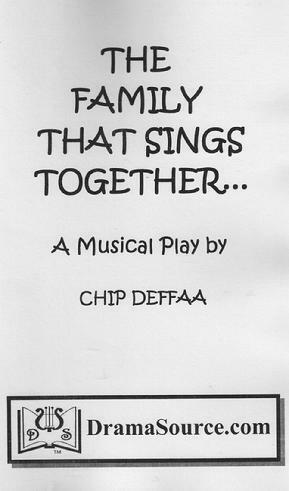 THE FAMILY THAT SINGS TOGETHER... has just been published by Drama Source. This musical about the famous Foy family of vaudeville, with 22 roles, will delight your audiences whether you are doing a school, church, community-theater, or regional-theater production. David Cronin, Michael Townsend Wright, and Paul Iacono, recording demo's for "The Seven Little Foys"
Paul Iacono, who's enlivened demo recordings for our "Johnny Mercer Jamboree" and "The Seven Little Foys," recently made his major motion picture debut, playing "Neil" in "Fame." 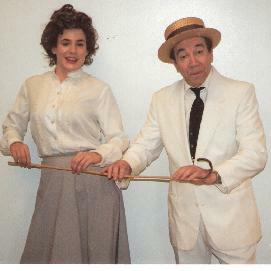 Michael Townsend Wright and Beth Bartley co-starred in The Seven Little Foys at the 2008 New York International Fringe Festival, and are looking forward to reprising their roles in future new productions. Wright recently recorded a demo of a new song by Chip Deffaa, "An Eddie Foy Soft Shoe," that's just been added to the show. We have a complete demo (available upon request) of the score of that show. Big congrats to Emily Bordonaro, who's been a joy to work with on varous projects (and will be part of our forthcoming SEVEN LITTLE FOYS CD). She's just completed shooting scenes for a feature film. We'll have more details later. Dea Julien, who played "Mary Foy" in the Fringe Festival production of THE SEVEN LITTLE FOYS (and was part of the project from the very first demo recordings), is currently touring the U.S. as a member of the national tour of WEST SIDE STORY. Meanwhile, the cast of THE GEORGE M. COHAN REVUE has just finished making a demo recording (available to industry) of the score of that show. If you're doing a production of that musical and would like to hear the demo, let us know. JON PETERSON was recently given an award as "Best Actor in a Musical" for the past year, for his work in George M. Cohan Tonight!, by the Connecticut Critics Circle. 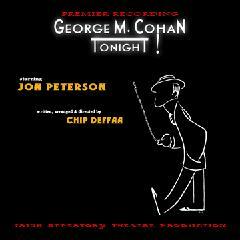 JON PETERSON recently finished a long run doing George M. Cohan Tonight! at the Stage Door Theatre in Coral Springs, Florida. He has been taking a little break from playing Cohan to workshop The Johnny Mercer Jamboree with us. 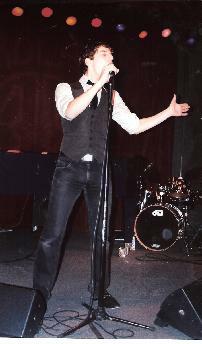 Watch for him to perform that show with us in the coming year! And to keep performing Cohan every imaginable place. JOAN JAFFE, who has played Nellie Cohan in the original productions of all five of our Cohan shows, has been cast in the forthcoming Disney film The Enchanted. 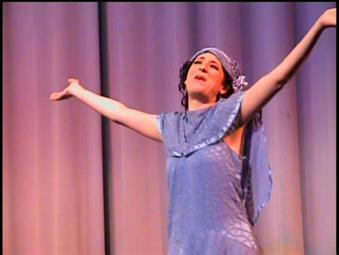 We don't know much about the story line yet, but we do know she'll be dancing--as she has in films from Hello, Dolly! to The Producers. Joan also just sang (as did our own Lynelle Johnson) at a concert for the Sheet Music Society. We mourn the loss of HAL BLANKENSHIP, our beloved original "Jerry Cohan." Jon Peterson, our original "George M. Cohan," spoke and sang at Hal's memorial service, which drew many friends and colleagues from his 40-year career as an actor. Hal kept performing almost up to the end. He and his wife Joan Jaffe appeared memorably in the 2008 motion picture "The Savages," with Philip Seymour Hoffman and Laura Linney. The DVD has recently been released--take a look at the "special features" and watch Hal and Joan perform Johnny Mercer's song "Two of a Kind (Uncut)." 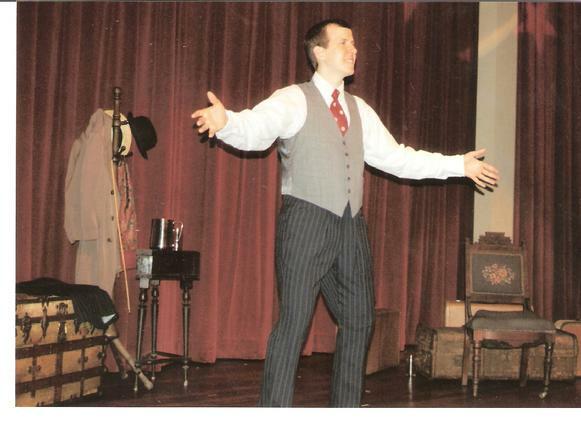 MICHAEL T. WRIGHT, who has played roles in many of our original productions, is currently doing tour dates with "Uncle Floyd" Vivino (on whose TV show he long appeared), and rehearsing for his starring role in The Seven Little Foys at the 2008 New York International Fringe Festival. 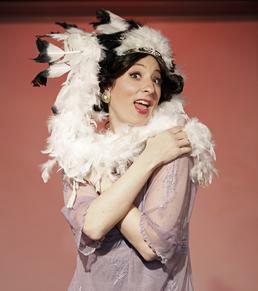 Wright, whose talents have graced such films as The Rat Pack and Lansky, was Joey Faye's last burlesque comic. He gets to draw on that tradition in his comedy shows with Uncle Floyd, as well as in The Seven Little Foys. In addition, Michael was recently seen on an episode of the FX network's show Rescue Me, as well as on Nickelodeon's The Naked Brothers Band show. He has also been shooting scenes for a forthcoming movie with Vincent Pastore and Talia Shire. CATHERINE REMMERT may be heard on the cast album of The Last Starfighter. LYNELLE JOHNSON has been busy entertaining as "Miss USO." SETH SIKES is working as a production assistant on the new Mel Brooks/Susan Stroman musical production, Young Frankenstein. JUSTIN BOCCITTO, who has choreographed most of our shows, recently performed with Marvin Hamlisch and Rachel York in Broadway to Brunswick at the State Theater in New Brunswick, New Jersey. 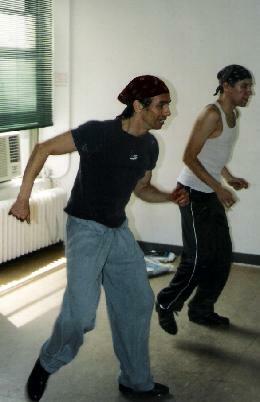 And he directed/choreographed an acclaimed production of The Best Little Whorehouse in Texas at Circle in the Square. 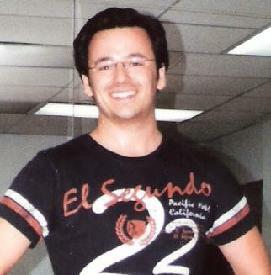 Boccitto choreographed the world-premiere of Chip Deffaa's The Seven Little Foys in Connecticut. 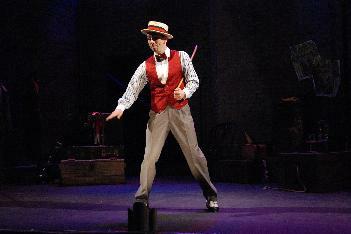 And he--along with Assistant Choreographer Cristina Marie--returned to choreograph the new production of The Seven Little Foys at the 2008 New York International Fringe Festival. And we're glad about that. Everyone loves their choreography! Choreographer Justin Boccitto (at right) and Assistant Choreographer Cristina Marie (at left) working with kids for "The Seven Little Foys"
RYAN FOY, who played George M. Cohan in the New York Fringe Festival production of The Seven Little Foys, is currently appearing at Westchester Broadway Theatre in A Wonderful Life. TOMMY LoSCHIAVO recently appeared in the show Hunka Hunka Burning Love at the Mason Street Warehouse (a theater in Saugatuck, MI). RICHARD DANLEY, who most recently served as music director for the New York premiere of The Seven Little Foys, has been chosen by composer Ervin Drake to create the arrangements for a new version (in development) of Drake's 1964 Broadway musical What Makes Sammy Run. 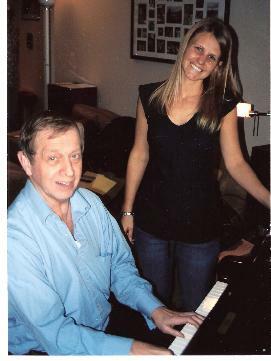 PETER McMURRAY, who's helped prepare music for our Cohan project, has composed an opera, recently presented in Boston. And his composition Mixtape, Volume One, Freestyle, recently received its New York premiere, played by the Brandeis Graduate Improv Ensemble. Speaking of operas, we hear that DAVID CRONIN is busy rehearsing one right now. And he will also be acting in Chip Deffaa's show Theater Boys. album has just been released on New World Records! Go, Colin! 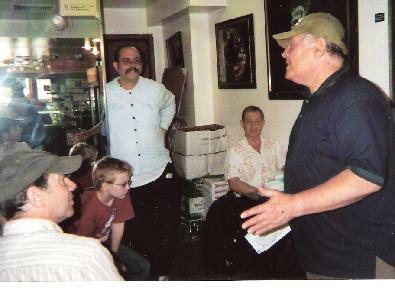 KIRBY WARD recently returned from entertaining in Hong Kong. 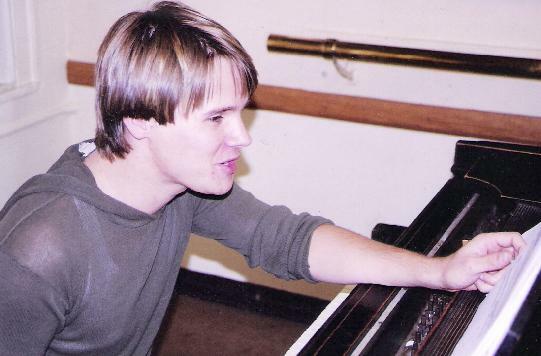 He and COLIN PRITCHARD have been special guest-artists, tap-dancing in programs with the Connecticut Ballet. RAISSA KATONA BENNETT, who played Mrs. Foy in our premiere production of The Seven Little Foys, has been presenting cabaret shows at the Metropolitan Room in NYC. DEVON EDDY has been accepted into Scott Wise's Dance Camp on Martha's Vineyard for this summer. It's a highly selective program; only 25 students get to participate with master dancer Wise (who's enlivened countless Broadway shows from Damn Yankees to Fosse to Movin' Out), and his guest instructors including Kathleen Marshall and Charlotte D'amboise. 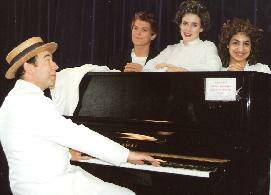 ALEXANDER CRAVEN has been appearing in a production of Bye Bye Birdie. BRANDON REID has been appearing in a production of Willie Wonka and the Chocolate Factory, in Florida. CAST MEMBERS of The Seven Little Foys have been appearing on David G. Meyers' radio show, "The Livelier Arts" on WGBB-AM (which can be heard over the Internet anywhere on www.AM1240WGBB.com or www. DavesGoneBy.org). 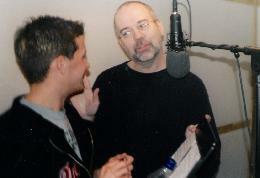 In the photo at right, David G. Meyers (standing, at right) is talking with Seven Little Foys cast members prior to interviewing them for his radio show. BETH BARTLEY (who played Mrs. Foy in the New York Fringe Festival production of The Seven Little Foys and will be featured in the next production of The Johnny Mercer Jamboree) is celebrating the release of the new album by her band "Ultrafine," "Particles." ERIC STEVENS and other cast members have enjoyed getting up and singing on Monday nights at Birdland, the famed jazz supper club on 44th Street in New York City. 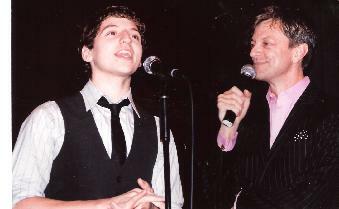 The Monday night "Cast Parties" at Birdland, conceived and hosted by Jim Caruso, are terrific "only-in-New-York" events, in which show people have a chance to strut their stuff before audiences that include performers from various Broadway and Off-Broadway shows. Billy Stritch is usually at the piano. If you haven't yet gone to Birdland on a Monday, go! The photo at left shows Eric Stevens rockin' the house; the photo below shows Stevens chatting with host Jim Caruso (who, as this is being written, may also be seen singing, eight shows a week, with Liza Minelli at the Palace Theater). 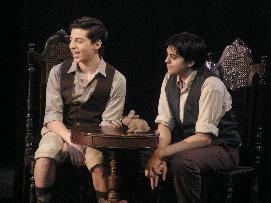 PETER CHARNEY, as of this writing, has the role of Gavroche in a production of Les Miserables in Hamden, Connecticut. We're extra happy for Peter because Les Miz happens to be his favorite musical! 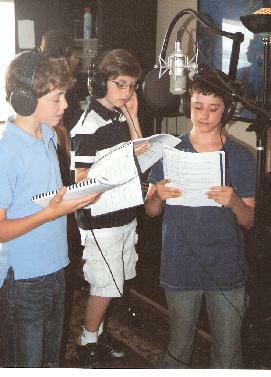 Jack Saleeby, Chris Campochiaro, Devon Eddy recording "Seven Little Foys" demo's. CHRIS CAMPOCHIARO, the youngest member of our original Seven Little Foys cast, has just finished appearing in a production of The Music Man with Shirley Jones. 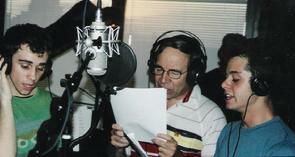 He recently joined fellow original cast-mates in recording new Seven Little Foys demo's. Jack Saleeby has gone from playing "one of them Foy kids" to playing Shakespeare; he's currently appearing in Hamlet in Waterbury, Connecticut. While we look forward to seeing him play a "Foy" once again, Shakespearian training never hurt anyone. Eddie Foy said there was nothing he enjoyed more than doing Shakespeare--it all contributed to being a well-rounded actor. He played small roles in legitimate Shakespeare productions in his youth, and scored a major success in a burlesque of Hamlet on Broadway in later years. So kudos to Jack for tackling the role of Young Claudius in Hamlet. We can just hear him saying: "There isn't a cop alive who can catch Young Claudius." And bringing the rhythms of iambic pentameter to the next production of The Foys. STERLING PRICE-McKINNEY, who has served as music director for many of our shows from the very beginning, is working in Chatauqua, NY, this summer.